Feral cats of Toronto have a safe, warm place to recover after they have been spayed / neutered! The Toronto Feral Cat Coalition continues to offer the community a free space in Scarborough to recover feral cats. But we need help! We need approximately $10,000 to run the Recovery Center for the year - and that's not including utilities. A much-needed dumpster service, alone, costs $3,600. You can help us make this happen! Perks: Donate and receive a special thank you! $25 - A Great Contribution! $75 - A Much Appreciated Donation! $100 - The Cat's Meow! 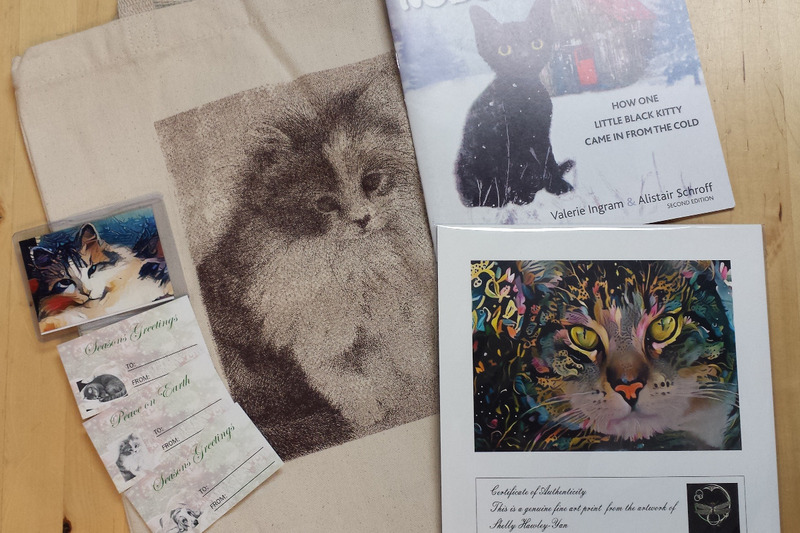 Receive a thank you card, gift tags, a 5x7 unframed print, "Nobody's Cat" children's book by Lakes Animal Friendship Society, and an Animal Alliance tote bag. ** Please note: Animal Alliance is not a charity and cannot issue tax receipts. Donate your time at the Recovery Centre! We need help covering the morning shifts. Or if you like to drive, please help with transportation of cats to and from the clinics! And please share news about this important campaign, for the animals. The Toronto Feral Cat Coalition is a coalition of municipal animal services, humane societies, rescue groups and advocacy organizations, working collectively to improve the lives of feral cats through strategic Trap-Neuter-Return programs and to address the numbers of homeless and feral cats living on the streets. In the spring of 2010, Toronto Animal Services announced the opening of a new spay/neuter clinic and the start of a free monthly feral cat sterilization programme. This amazing breakthrough was the catalyst that formed the Toronto Feral Cat Coalition. Later in 2010, the Toronto Humane Society also began offering free spay / neuter clinics for feral cats. A third group, Toronto Street Cats, also provides free services. Since our formation, we have sterilized over 10,000 cats for free! 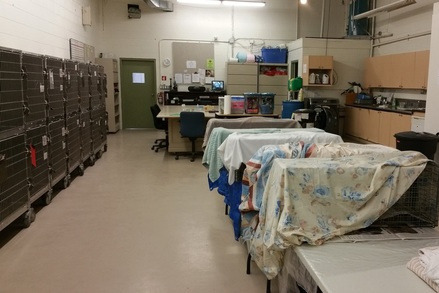 As far as we can tell, our Recovery Centre is the first of its kind in North America. Feedback from colony caretakers pushed the Coalition to respond to the need for a space to recover cats. Many caretakers live in apartments with no room to keep a cat for 3-4 days post-surgery. And when there aren't cats recovering at the Centre, we use the space for caretaker workshops and volunteer training. Please - for the cats - help us keep this much-needed space operational. Thank you for contributing to this campaign to help keep feral cats warm and safe! Our work for ferals continues.